"I have been using the Xpert Online Software for 2.5 years, and it has been a great experience. The software is stable and reliable, and I get continuous compliments from our users about the ease of use. Both Robert and Warren are responsive, knowledgeable and have helped me grow this business. We started from scratch, and have grown continuously since we started, and I believe the software and the assistance they have provided have been an integral part of our success. 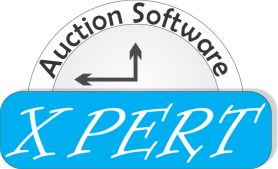 I strongly recommend Xpert Auction Software to any estate liquidator that wants a leg up on the competition – whether they are auctioneers or traditional estate liquidators." "It is extremely easy to navigate and set up auctions. So far everything has run smoothly for me and I appreciate the quick response when I have a question on any part of the system. The help and training I received to get my online auction website up and running was amazing! I would recommend this software to anyone who wants to succeed in having an online auction business." Hello! My name is Jason Hill from Movin On Estate Sales & Online Auctions. Eight months ago, I was introduced to Xpert Online auction software. I was praying for an online auction presence. Shortly after that prayer, God brought me this amazing software and it's making a huge change in the way we do business. Our sales have increased and so has our revenue. We are very satisfied with the decision we made on January 1st of 2016. It has allowed us to create our own auction Empire. This auction site runs like a machine with no hick ups. I have been doing Estate/ Tag sales for the last 5 years. After my sales, I would look around the house and see tables of stuff that had not been sold and my customer would not get a return on the unsold items. Now that has changed because all sales are done through online auctions, a higher number of items are sold, and both my customers and I win because we both receive higher returns. Thank you Robert & Warren for choosing my company to be part of the Best Online Auction software Xpert Online Software.